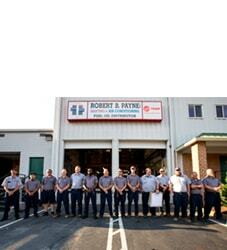 Expert Commercial HVAC Service in Fredericksburg, VA | Robert B. Payne, Inc.
At Robert B. Payne, Inc. we understand that our commercial HVAC clients have particular needs. Commercial air conditioning and heating systems are in operation more frequently and for longer periods of time than the systems inside private homes. Many businesses have essential operations that depend on an HVAC system in order to continue. We are pleased to bring generations of expertise to every job done by our team members. 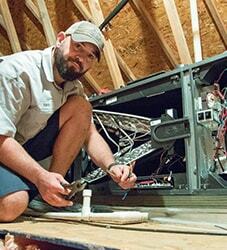 The commercial clients we serve throughout the Fredericksburg area know they can depend on us for all system maintenance, repair, and service tasks. Planned maintenance agreements, or PMAs, are contracts that outline the particular services that will be performed for a client. These agreements are especially helpful to the owners of commercial heating and cooling systems. Your agreement can specify exactly which components of your HVAC system will be serviced and on what schedule. A PMA makes it possible to enjoy the full benefit of the service commitment Robert B. Payne, Inc. is known for without having to schedule service checks in advance. These agreements are created with clients on an individual basis, so simply call us if you would like to know more or use the convenient online form to contact a service representative. In 1930 Robert Payne began his business with a commitment to excellence and customer service; these founding principles still guide us today. In that spirit, we offer our customers services that include a 24/7 emergency response team that can handle all maintenance requests for all system brands. Commercial heating repairs are inevitable. No matter how efficient the system may be, at any given moment something could go wrong. It takes the right tools and knowledge to repair the problem. 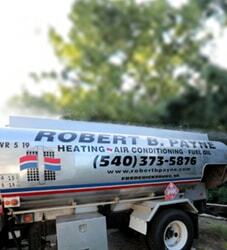 At Robert B Payne, we bring in trained technicians to handle all repairs on commercial heating systems. Each individual we hire is trained and has the right tools for the job with a fully loaded truck on hand. Commercial heating systems are often much larger and more demanding than a residential system. The system has to handle heavier loads, and this intense use can put wear on your system. The equipment is complex to setup and repair, which is why only a professional should perform repairs. When one component malfunctions, the entire system is affected. Rest assured; our experienced technicians are on the job as quickly as possible. Give us a call today so we may dispatch one of our licensed contractors as soon as possible. When it comes to commercial HVAC systems, most business owners don’t know much about maintenance. This is where a professional HVAC technician comes in handy. 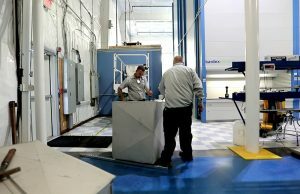 So, how much do commercial HVAC maintenance services cost? That figure varies depending on both your specific type of system and your technician’s level of experience. However, you can expect to pay a flat rate for both the service call and labor. The only exception to this is if the technician discovers either that the problem is electrical or that they need extra parts for the job. Do you have questions about your commercial HVAC system’s maintenance? Contact Robert B. Payne, Inc. today! Large and small businesses need to be able to depend on their commercial air conditioning and heating system. To schedule a maintenance visit or to learn more about our commercial HVAC services, call us toll free at (540) 373-5876 or use the online form to contact us 24/7.